Heel pain can be caused by a verity of issues. The most common condition leading to pain in the heels include heel spurs, plantar-fasciitis, dropped arch, sprains, strains and of curse fractures. Heel pain treatment depends on of the cause and severity of the injury. Non-surgical and non-invasive methods of heel treatments are better than those that involved injections or surgery. Heel pain is all too common in Malaysia. Tropical countries usually have higher numbers of heel pain patients per capita compared to others. The number one reason why heel pain is common in Malaysia and other tropical countries is a lack of sufficient shock absorbance in footwear. Non-surgical treatments are always the better option unless you suffer from a complete heel fracture. In Malaysia there has been a steady rise is stress fractures of the heel bone. Repetitive trauma, improper footwear are possible the culprits. Stress fractures of the heel bone is best treated non-operatively. The key to successful outcome is accurate diagnosis and proper follow-up. Our clinical teams offer the best heel pain treatment in KualaLumpur, Malaysia. Our abilities of identifying the root-cause are better and as such the care you get is targeted. Heel pain and heel fractures need proper attention and treatments. 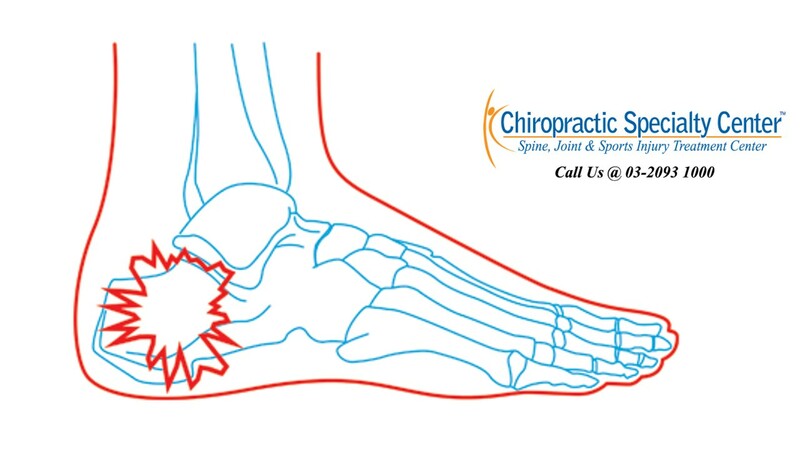 Stress fractures involving the heel bone need specialized attention, which our team can provide. Calcaneus, the heel bone, is the second most commonly involved tarsal in stress fractures. There are two main sites where the injury most often occurs, the upper part of the posterior margin of the os calcis or adjacent to the medial tuberosity. Calcaneal heel spurs can be found at the medial tuberosity. Calcaneal stress fractures can be associated with marching on hard surfaces among the military. Repetitive stress exerted on the calcaneus can result in a stress fracture of the heel bone. However, calcaneal stress fractures also occur in runners, ballet dancers and jumpers. Weight-bearing activities, in particularly running, are known to aggravate the insidious heel pain. Palpatory tenderness of the posterior calcaneus on the inner and outer sides is noted. Applying a compression force on both sides of the posterior calcaneus simultaneously can reproduce the pain. Lateral X-ray of the calcaneal may reveal a sclerotic appearance, which is parallel to the posterior margin of the calcaneus. A focal area of increased uptake can be shown on the isotopic bone scan. Calcaneal stress fracture with significant pain should reduce the activity level or in certain severe cases temporary non-weight bearing relative rest may be needed. Gradual introduction of increased weight bearing is required once the pain has subsided. Stretching of the tight muscles such as calf muscles and plantar fascia is needed to decreased abnormal stress being put on the calcaneus. Joint mobilization to ensure full range of motion in the ankle and tarsal joints is important for recovery. Soft heel pads or orthotics can be recommended to prevent reoccurrence of the injury. For more information or enquiries about our heel pain treatment in Malaysia or about our Chiropractic-in-Malaysia blog, please contact us at 03-2093 1000.